We did it! We hit our target of £10,000 thanks to all of your support! We’re all over the moon that the target has been reached. We cannot thank you enough for your pledges, support and sharing of our project. The next stage is for us to start sending out your rewards as soon as possible, and to get started on the three new series of films! We will keep you all posted. To help close factory farms, we are making more short films to expose the true cost of animal factories and urge people to only buy pork with a high animal welfare label. Who Are We? 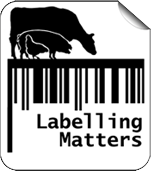 Farms Not Factories is a small not-for-profit organisation that works through campaigns and films to expose the true costs of cheap meat from factory farms and thereby inspire people to only buy meat from high-welfare farms. What Do We Want To Achieve? We want to change the fact that 75% of the pork eaten in the UK comes from pigs raised in factory farms. 57% of the pork eaten in the UK is imported from countries which raise pigs in cruel conditions that are illegal in the UK, out-competing British farmers and destroying local livelihoods. 1. The Great And The Good: Due to the overwhelming success of our previous series #TurnYourNoseUp (over 6 million reached) we plan to make a similar series with more celebrities e.g. Bruce Parry and many others. 2. Rooting for Real Farms: For this series (over 1 million reached) we plan to make more videos with chefs and the farmers that supply their high welfare pork. Celebrity chefs, Thomasina Miers founder of Wahaca and Skye Gyngell head chef of Spring Restaurant are among many that will take part. 3. Pester Pig: A series of films in which an indignant pig wreaks revenge on people who thoughtlessly chose pork from animal factories. See below our Pester Pig pilot which reached 62,000 views. £5 – Your name on our website to thank you for your donation and support. £10 – Two A4 sheets of 35 Farms Not Factories stickers, and a thank you on our website for your support. 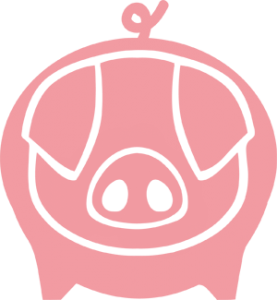 For a pledge of £25 – you will be rewarded with a 25% Discount VOUCHER for spends over £40 with our exclusive supporting farms, where you can buy tasty high welfare pork. Porcus – A small farm nestling on the moors above the incredible food town of Todmorden ”Incredible Edible” in the South Pennines. The traditional rare breed pigs are raised outdoors to the highest welfare standards. Green Pasture Farms – A collective of traditional family farms in the North Lancashire area of Pendle. Every pig is reared ethically, fed its natural diet, and allowed to roam freely in the green pastures of Pendle. 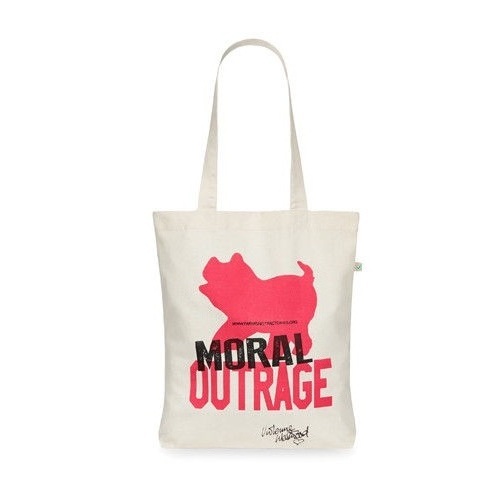 For £25 – A #TurnYourNoseUp at Pig Factories T-shirt (Large Size Only), or for donations of £35 – Limited edition Moral Outrage tote bag designed by Vivienne Westwood. 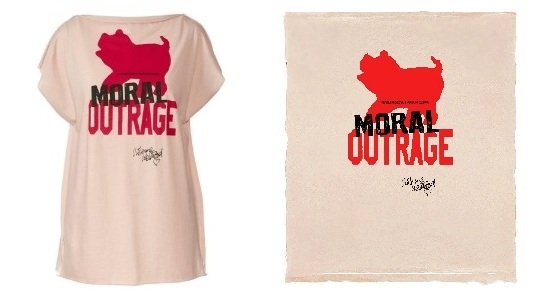 For £50 – Limited edition Moral Outrage square-cut T-shirt designed by Vivienne Westwood. 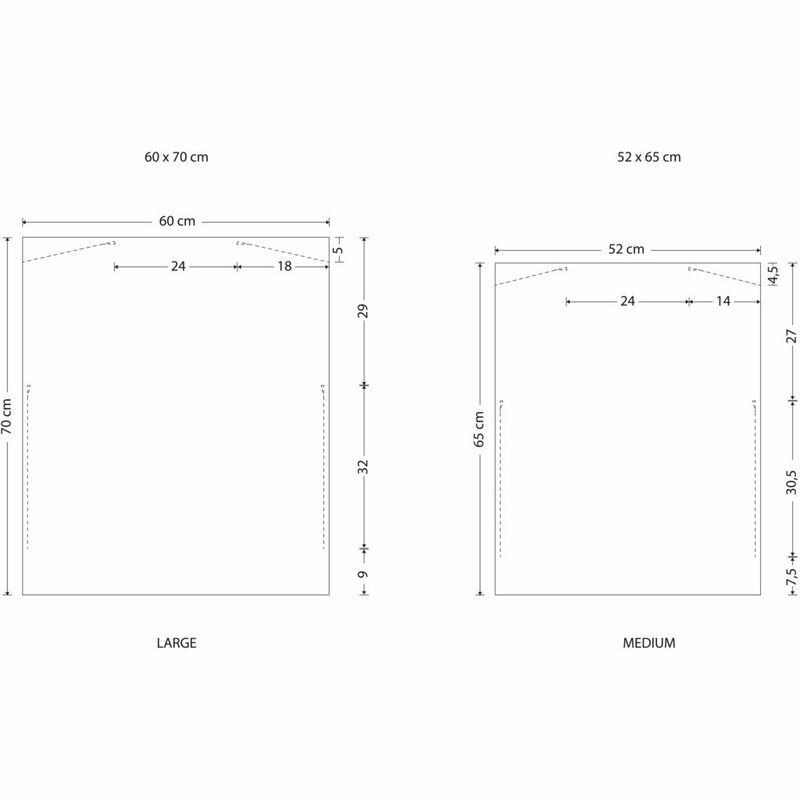 Size guide here. £70 – The above T-shirts signed by one of our supporting celebrities. Size guide here. Choose from one of the following: Dominic West (Lx6 & Mx9)- Jeremy Irons (Lx2 & Mx5)- Miranda Richardson (Lx1)- Mark Hix (Mx2)- Sadie Frost (Lx5 & Mx3)- Simon King (Lx5 & Mx3)- Leslie Ash (Lx5 & Mx2). For £80 you will be rewarded with a £25.00 gift voucher from Farm Drop, an online food delivery company that distributes healthy, high-welfare and organic foods from local farmers and fishermen to consumers. The company provides farm-to-table foods and fresh fish for consumers in the London, Bristol and Bath areas. Porcus – A high welfare sausage hamper of 5 different kinds of yummy sausages including; Pork Pancetta and Parmigiano Sausages and a pack of dry cured back bacon. Delivered to anywhere in mainland UK. Green Pasture Farms – A pasture pork selection box including; a Roasting Joint, Diced Meat, Minced Meat, Steaks or chops, Butcher’s Cuts and Spare Ribs. Delivered to England and Wales and most areas of Scotland. 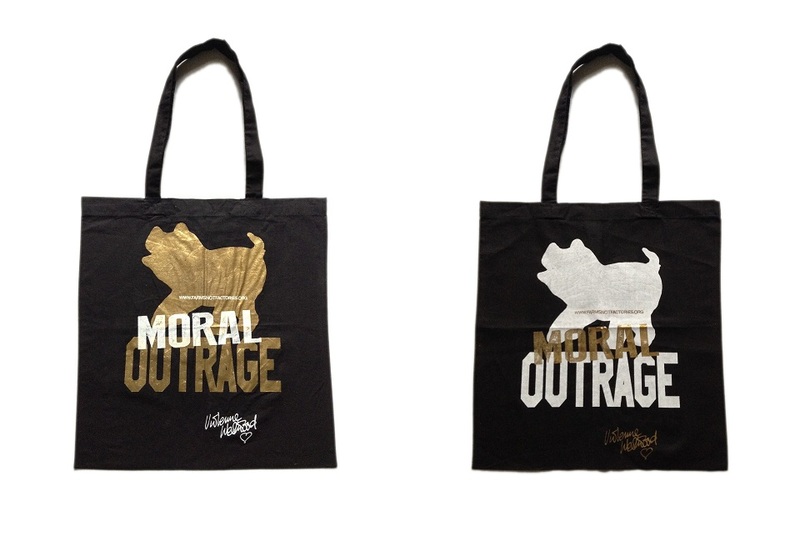 For £110 get a one of a kind gold or sliver Moral Outrage tote bag designed by Vivienne Westwood. £150 – An A3 print of one of our 12 celebrity supporters holding a pig. All photos were taken by world famous photographer Clive Arrowsmith. Lambda print on satin-finish medium weight paper. These prints are unsigned and not limited editions (Choose from Helen McCrory, Dominic West, Miranda Richardson, Rupert Everett, Leslie Ash, Sadie Frost, Richard E Grant or Jon Snow). £200 – Bespoke handmade pink, pig-themed, wool felt hat from Stephen Jones OBE, a leading British milliner based in London who is considered one of the world’s most radical and important milliners of the late 20th and early 21st centuries. He is also one of the most prolific, having created hats for the catwalk shows of many leading couturiers and fashion designers, such as John Galliano at Dior and Vivienne Westwood. £400 – An exclusive Mini-Break for 3/4 nights, for 2-4 people (3 adults or 2 adults and 2 children). You will have the chance to stay in the quaint (3 star) Red Squirrel Cottage (subject to availability), with Kirkwood Real Farm Holidays in Lockerbie, the heart of South Scotland, a beautiful, unspoilt, lowland area with rolling hills, oak woods and lush pastures. Real Farm Holidays is partnering up with Farms Not Factories to provide a real farming experience, encompassing the natural beauty, peace & quiet, rural walks and the best countryside activities Scotland has to offer. Please pledge and help end factory farming.